Democratic gains in the midterm elections were a repudiation of the policies of Donald Trump. Yet holding nearly the same views as Trump’s Education Secretary Betsy DeVos earned two Pennsylvania state representatives high leadership positions with House Democrats. Rep. Jordan Harris, D-Philadelphia, was elected minority whip – the second highest position after floor leader. Rep. Joanna McClinton, another Philadelphia Democrat, was selected chair of the Democratic Caucus. Even after making gains in the election, Democrats did not get control of either the state House or Senate from Republicans, but kept control of the Governor’s mansion. New leadership positions will last for two years, but have many scratching their heads. Both Harris and McClinton are staunch supporters of charter schools over and above traditional public schools just like DeVos, a Republican megadonor before being selected for Trump’s cabinet. Harris and McClinton support school vouchers – just like DeVos – if labeled opportunity scholarships. 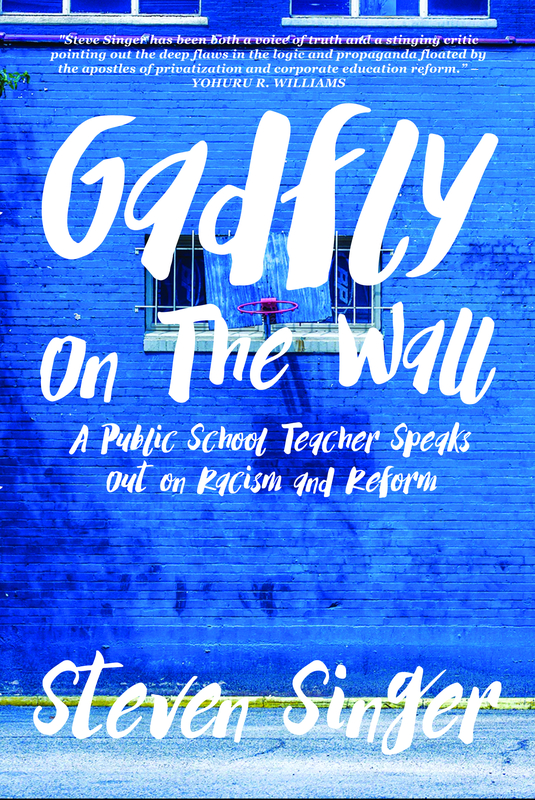 In their relatively short time in Harrisburg they’ve pushed for charter school expansion and even state takeovers of struggling schools serving mostly children of color. Such strong neoconservative values might make it hard to tell which party the two belong to if it weren’t for one thing – the color of their skin. Both Harris and McClinton are African American. In fact, McClinton will make state history as the first woman of color in her leadership position. Harris will be the first black whip since Rep. K. Leroy Irvis in the 1970s. Even so, their views put them in direct opposition with many civil rights leaders. The National Association for the Advancement of Colored People (NAACP) and Black Lives Matter have called for a moratorium on new charter schools. Journey for Justice (J4J), a nationwide civil rights collective made up of more than of 38 organizations of Black and Brown parents and students in several cities including Philadelphia and Pittsburgh, has gone even further demanding more community based traditional public schools. Perhaps Harris and McClinton’s support has something to do with campaign finance. Both have accepted large sums from the charter school industry. Harris’s 2012 campaign was funded 58% by school privation business interests – Students First PAC and its associates. That breaks down to $37,295 from Make a Difference PAC, $30,000 directly from Students First PAC and $2,000 from Economic Development PAC. And he’s still bankrolled mostly by that industry. More recently, he has taken $25,000 from Excellent Schools Pa and $11,500 from Students First Pa PAC. McClinton has taken $5,250 from Excellent Schools PA and $1,000 from Students First PAC. However, she also received $3,000 from the public school friendly Pennsylvania Federation of Teachers. Students First PA and Students First PAC are Pennsylvania political action committees associated with the national school privatization lobbying firm American Federation for Children (AFC) which is chaired by DeVos. What are Democratic House leaders doing taking large campaign contributions from Trump’s Education Secretary? Moreover, both Harris and McClinton got their start in politics working for state Sen. Anthony “Tony” Williams, D-Philadelphia, the biggest recipient of school privatization money in the entire state. He took at least $5 million from the industry during his failed bid for governor in 2010, and an additional $7 million for a failed run at Philly Mayor in 2015. Harris was an intern for Williams and McClinton was Williams’ chief counsel. Even in Harrisburg, some question the two state reps ties to the far right billionaires bankrolling the school privatization industry. After all, these are the same people whose candidates just lost the midterms – and now fresh from an electoral victory Dems are elevating those of their own who are taking money from the same well!? Student First PAC wasn’t just a main contributor to Harris and McClinton. It contributed $1 million to Republican gubernatorial candidate Scott Wagner before he was defeated by Democrat Tom Wolf. It also contributed boatloads of money to numerous GOP candidates in the Commonwealth running against Democrats just this last election cycle. So why would the Democratic caucus vote for Harris and McClinton as new faces of party leadership? Part of the reason seems to be a power struggle inside the party between the two halves of the state. Leadership had been over-represented by lawmakers from the west – the Pittsburgh region and thereabouts. Harris and McClinton’s new positions go further to balancing the power with the east – the Philadelphia region. Moreover, there was a legitimate concern that party leadership was too white and male. However, there were other eastern Democrats, other women and people of color in the chamber who didn’t come with the baggage of Harris and McClinton. Harris was asked point blank if he’d stop taking charter school money if elected to a leadership position, according to anonymous sources. He gave no indication that he would. In his role as whip, Harris will have the greater opportunity to work for the charter school industry. The whip is responsible for making sure that Democratic members attend sessions and generally understand the specifics of legislation and procedural votes in the House. However, his comments on education policy are extremely biased. For instance, he took exception when a report by the nonprofit Public Citizens for Children and Youth concluded that Pennsylvania’s charter schools are not outperforming traditional public schools, and the state’s 20-year-old charter law needs to be reformed. The report says only 21 percent of Pennsylvania’s charters made the grade on the state School Performance Profile versus 54 percent of traditional district schools. Really? Yet you propose we increase the number of charter schools BECAUSE they allegedly produce better academic outcomes. How can you know that if you’re unwilling to compare them? Or are you only unwilling to compare them when the results don’t support the policy positions you’re being paid to promote? Harris also joined with Republican state Rep. John Taylor (another Philadelphia politician) to allow the state to takeover the lowest performing districts and give them over to charter school operators on the model of New Orleans after Hurricane Katrina. Almost a third of the state’s most struggling schools — 95, according to PA Department of Education — are located in Philadelphia. Taylor and Harris’s proposal was called the Educational Opportunity and Accountability Act. Harris and McClinton, who represent adjacent areas of south Philadelphia, have rallied for charter schools and de facto school vouchers together. The options he’s pushing for will greatly help corporations accepting public tax dollars to run schools at a profit, cherry pick enrollment, cut services and otherwise spend that money behind closed doors without accountability. Payments to charter schools represent one of the fastest growing portions of the School District of Philadelphia’s budget. These costs are pushing the district toward fiscal uncertainty. Yet Harris and McClinton are pushing for a similar model throughout the Commonwealth. I’m sure Betsy DeVos would agree. Education advocates in the Keystone state find themselves in a precarious position. Though many of our candidates won in this midterm election, we will have to keep a close eye on Harrisburg. Where will Harris and McClinton lead the party? Will they encourage their colleagues to take money from the school privatization industry – the same industry bankrolling their opponents? Or will they keep their biases to themselves and work for the betterment of the party and the communities it is sworn to represent? Antwon Rose could have been my student. I teach 7th and 8th grade language arts in a district located minutes away from where the 17-year-old was shot and killed by police. East Pittsburgh, the neighborhood where his car was stopped and where he ran from officers before being shot three times in the back, is minutes from my house. He went to Woodland Hills School District, minutes from my house. Michael Rosfeld, the officer who just started working at East Pittsburgh less than two hours before he shot and killed Antwon, had been fired with cause from his previous job as a security officer at the University of Pittsburgh, where I got both my graduate and undergraduate degrees and where my wife works. The poem Antwon wrote about not wanting to become another statistic that was read aloud at a protest was the product of an assignment I give my own classes. So I say again – he could have been my student. I have had many children like him. Most of my kids are like him. Promising, smart, burdened by fears no teenager should have to face. When I look at the smiling picture of Antwon released to the media, he looks like so many others I have known and loved. How many kids have passed before me worried that they’ll be the victims of police violence? How many kids have sat in those seats trying to concentrate on my work while anxious about the reality of the streets they have to walk just to get home? How many kids have been afraid that if the worst happens, the rest of us will forget their humanity? I am a white teacher. I don’t know what it’s like to live as a black person in America except by extension of what my kids and others tell me. When my daughter goes to school or plays in the yard, I don’t have to worry the police will consider her a threat simply because of the amount of melanin in her skin. But I do see how white people like me blame a 17-year-old kid for his own death. If he hadn’t been in that car, he’d still be alive. If he hadn’t run from police, they wouldn’t have shot. But being in the wrong place at the wrong time shouldn’t bring with it a death sentence. Running away shouldn’t bring with it the finality of the grave. Yesterday Allegheny County Medical Examiner’s Office ruled the death a homicide. That’s a good start. But plenty of questions remain. Rosfeld is still on unpaid leave. Why hasn’t he been arrested? Civil rights writer Shaun King reports that when Rosfeld worked at the University of Pittsburgh, he had a history of harassing black students and was only let go after he harassed one of the chancellor’s own children. If true, was that reported to East Pittsburgh before they hired him? Why is it police can apprehend white shooters with no violence, but when a suspect is black the rules of engagement start and end with bloodshed? Protests have rocked this city for two days and will continue today. We need answers to those and more questions. We need justice for Antwon. But more than anything we need to recognize that he was a human being. He was a little boy with his whole life ahead of him. I don’t say “mattered” because even though he’s gone, his life still matters. We can’t bring him back, but we can honor who he was. We can recognize his common humanity is the same as anyone else’s. We can give him and his family justice. And we must – we MUST – make sure that things like this don’t happen again. I’ve had far too many students die at the end of a gun. At absolute minimum, the hand holding it shouldn’t belong to someone tasked with the job to serve and protect.